Here at Fourslide, we have long offered prototyping services for our customers. 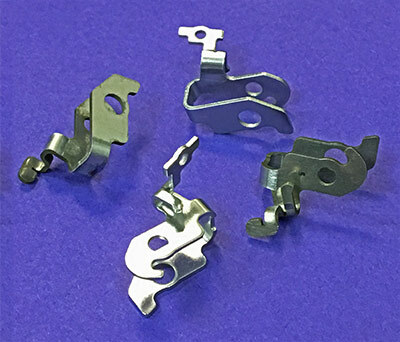 A very high percentage of the jobs we quote are for flat springs, contacts, clips, and other metal parts that have never been previously made, to be used in brand-new devices and products. We pride ourselves on helping customers make informed decisions about part design that save them both time and money. Categories: Part Design, What's it Like to Work with Fourslide? We’re frequently contacted by customers seeking assistance with a custom spring, clip or battery contact for their new products. Often, it’s the last item on their shopping list. The designs of other components – be it PCBs or plastic injection-molded parts – have already been chiseled in stone.